Hi there, my darlings! First of all, let me apologize for the mega late update this week. What with a long-awaited Indian lunch with colleagues in celebration of the last week of labs, followed by the Memorial Day long weekend and then getting deathly sick with the flu right after, I've been scrambling to keep up with all my commitments and definitely scrambling to keep up with the program. Needless to say, this will be a rather short update today. Last Thursday, my colleagues and I celebrated the end of a very long semester, but more importantly, long year of labs with an Indian lunch--naan, chicken tikka masala and rice does not constitute watching what I eat. Then, the long weekend saw a wedding reception for a beloved colleague who's a huge foodie just like me--let's just say, "light refreshments" turned out to be a taco station, an Asian station AND a Mediterranean station...followed by a DESSERT station. 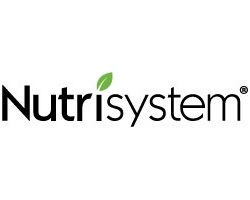 Just as I started back on the program, I started to feel sick and lost all my appetite--nothing appealed to me, not my Nutrisystem meals, not the food that I ordered to try to whet my appetite. All I've done for the past 3 days is sleep. Sigh. But Monday is a new week--I hope to beat this icky flu AND get back on the program. Because it's already June and I leave for the wedding in just four short weeks! EEK! While I recover from this bug, if you have any questions, comments or concerns about the program, please feel free to reach out to me in the comments below OR email me through the contact form found in the ABOUT ME section. I'd be happy to chat!